American Board of Optometry Diplomates in leadership positions at the Southern California College of Optometry welcome a new class of future ODs. Residencies and clinical practice years count! 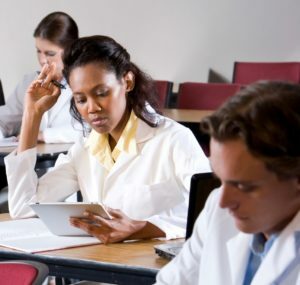 Thinking of taking the January 2016 American Board of Optometry Board Certification exam? You’ll be interested to know that the process is now more inclusive for interested ODs. If you’ve completed an ACOE-approved residency in the past three years, you automatically earn all 150 exam qualification points needed to take the Board Certification exam. No need to accrue continuing education points to qualify. If your residency was completed three to 10 years ago, you earn 100 points toward exam qualification. If it was completed more than 10 years ago, you earn 50 points toward exam qualification. You also can earn 5 exam qualification points for each year you’ve been in active clinical practice in the previous 10 years (up to 50 points). To fill out an initial application and get the process started, click the APPLY NOW button above. The next Board Certification exam period is January 1-31, 2016. 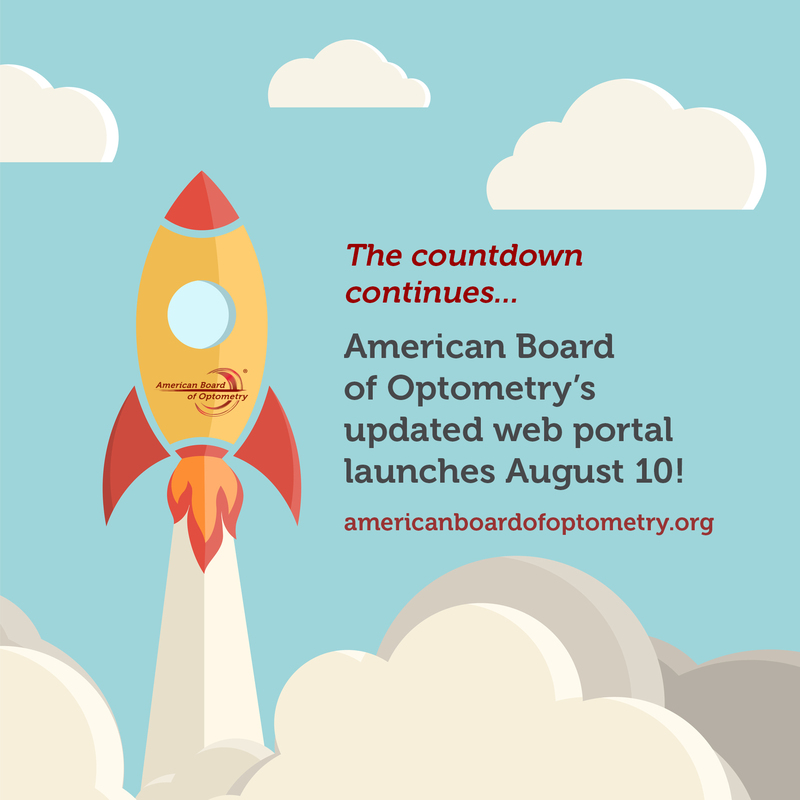 We are preparing to introduce our updated web portal on August 10, 2015. 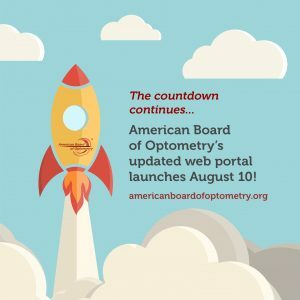 The American Board of Optometry is excited to bring candidates and Diplomates a more efficient and user-friendly online experience. Stay tuned to your e-mail inbox and our home page for information on enhanced features and benefits as the date draws closer! America n Board of Optometry Diplomate and board member David Heath OD has been named president of the Association of Schools and Colleges of Optometry (ASCO), one of our founding partner organizations. 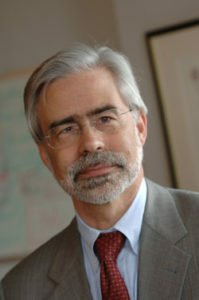 Dr. Heath is president of the State University of New York College of Optometry. He has served on the ASCO board since 2007, including a previous term as president from 2012 to 2013. Our congratulations and best wishes to Dr. Heath! Gundersen Health, a Wisconsin-based hospital and clinic system serving three states, requires American Board of Optometry Board Certification for its 20+ optometrists. Click here for a Q & A with the health system’s CEO and optometry directors… and find out why Board Certification is such an integral part of its culture. Dr. Carroll accepts SCCO award. 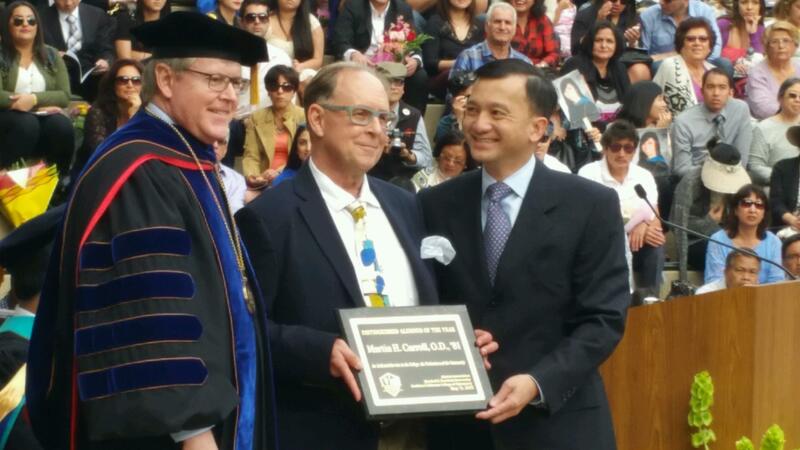 “Marty” Carroll OD received the Distinguished Alumnus of the Year Award from the Southern California College of Optometry. He is a 1981 graduate of the school, and practices in southeast Wyoming. Congratulations, Dr. Carroll!